Homemade play dough - SO COOL!! This was fun for us to make and even more fun to play with. And to top it off, lasts at least 3 months in the fridge. I got the recipe from this site. I used the very first cooking recipe since they last a bit longer. Here is the recipe, just in case you're up for cooking! Combine in a pot over medium heat. Stir constantly, scraping the dough from the sides until it resembles a ball of play dough (1-3 minutes). Pour out and let cool. I had to knead this for a little bit until it became play dough. Store in an airtight container in the fridge. *I let it cool at least 20 minutes before playing with it. 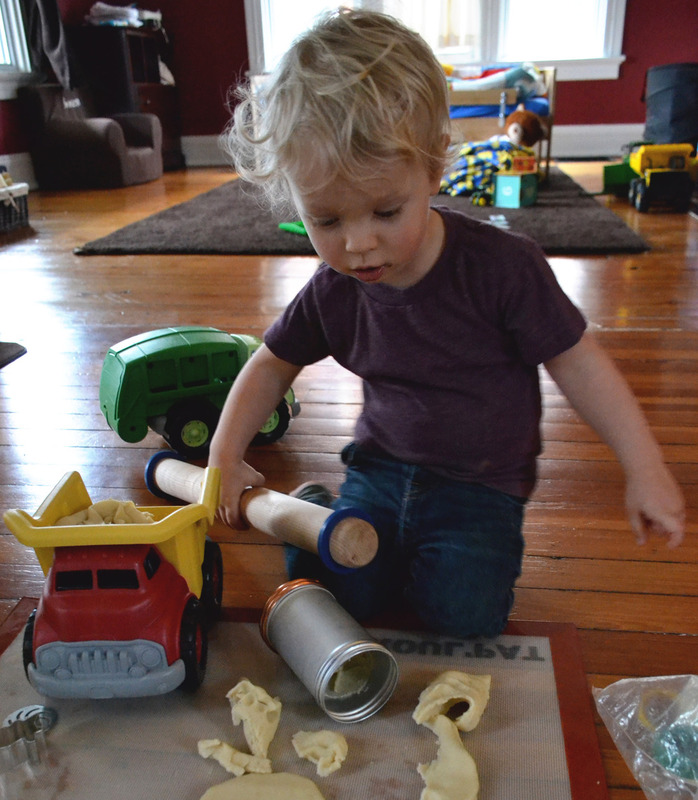 One thing I have learned about sensory play - is that it doesn't always go 'as planned'. I got the cookie cutters out, rollers and all sorts of things. Which worked - for awhile. And then he went to collect his trucks. I thought we were done with the play dough after a short 15 minutes, but I stood corrected. 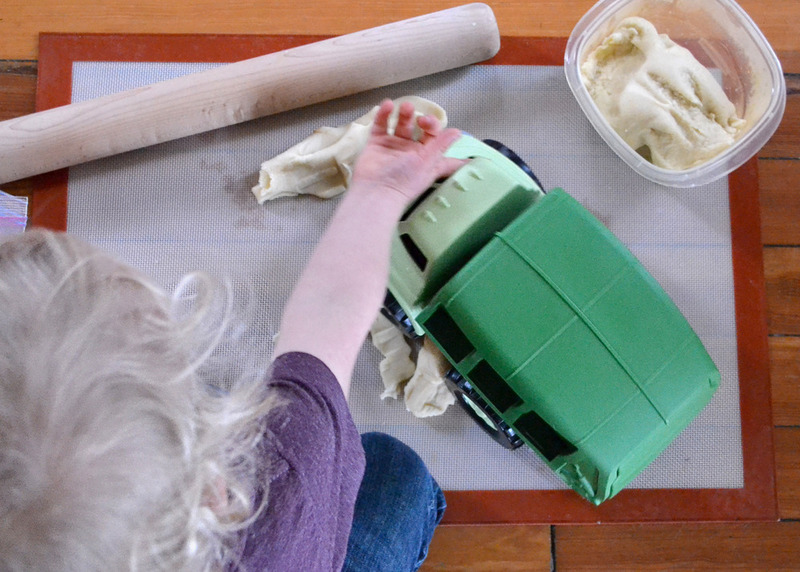 Play dough is great for trucks to run over, dump and be filled. We had a blast, for a couple hours. Soren played with play dough until the Sun went down and it's sitting in the fridge for another day!